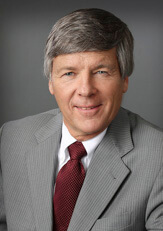 A well-known lecturer and presenter, Don has spoken on personal injury, tort reform and civil trial practice for many Minnesota Continuing Legal Education seminars. Respected nationally and internationally, Don heads up FMJ’s litigation and unmanned aircraft systems practices. In 2014, Don was asked to testify before the Minnesota Senate and House Judiciary and Civil Law Committee in a joint hearing on the topic of unmanned aircraft systems (UAS). The hearing covered public, private and commercial usage of UAS and the data they collect. Don addressed UAS regulations at state and federal levels, as well as current and future legal issues. Participated in panel discussion with the University of Minnesota Center for Transportation Studies, Minnesota Department of Transportation and legislators entitled, “UAV for Policymakers Forum,” December 7, 2015, Minneapolis, MN. Soderberg & Vail, LLC v. Meshbesher & Spence, Ltd., Nos. A15-0088 and A15-0358 (Minn. Ct. App. Jan. 4, 2016) (Unpublished Opinion): Lawsuit against law firm for non-payment of a referral fee to another law firm. Jacob Brown, et al. v. Duluth Steam Cooperative Association, Nos. A14-1598 and A14-2072 (Unpublished Opinion) Minnesota Court of Appeals (8/3/15); Lawsuit against company operating steam distribution system for the city of Duluth, Minnesota, for causing second degree burns to two-year-old child who fell on superheated manhole cover. Sandy Phillips v. Lucky Gunners, The Sportsman’s Guide, et al., U.S. District Court for the District of Colorado, Civil Action No. 1:14-cv-02822-RPM. Summary judgment granted to client The Sportman’s Guide, an online retailer of outdoor sporting products, including ammunition for weapons, which were sold to James Holmes who entered a movie theater in Aurora, Colorado on July 20, 2012, and shot 70 innocent movie-goers. Air Wisconsin Airline Corp. v. Hoeper, 134 S. Ct. 852 (2014); U.S. Supreme Court decides in 9-to-0 decision that immunity applies under the Aviation Transportation Security Act. Harleysville Ins. Co. v. Physical Distribution Services Inc., 716 F. 3d 451 (8th 2013); Insurance coverage upheld for injured worker. In re Estate of Darlene Nueman and Lois Wiggs, 819 N.W.2d 211 (Minn. Ct. App. 2012); Trial court decision regarding duty of several representatives of estate upheld. James R. Williams v. Orlando Henry “Tubby” Smith, et al., 820 N.W.2d 807 (Minn. 2012); Minnesota Supreme Court reverses jury verdict and Court of Appeals decision. James R. Williams v. Orlando Henry “Tubby” Smith, et al. ; Nos. A10-1802 and A11-567 (Unpublished Opinion) Minnesota Court of Appeals (10/17/11); Jury verdict finding Coach Tubby Smith guilty of negligent misrepresentation upheld by the Court of Appeals, and the $1 million verdict is sustained. William L. Hoeper v. Air Wisconsin Airlines Corporation, et al. ; No. 08CA1358, 2009 WL3764080, 232 P.3d 230 (Colo. Ct. App. 2009); Colorado Court of Appeals upholds jury verdict to pilot-plaintiff. Daniel Ehrmann v. Leslie Adam, et al. ; No. A08-2120 (Unpublished Opinion) Minnesota Court of Appeals (09/01/09); Dismissal of plaintiff’s defamation lawsuit upheld. Farmers Insurance Exchange v. Hallaway, Hawkins, and the Hollenbecks; No. 07-4521, 2009 (Unpublished Opinion) D. Minn. (05/18/09); Denial of motion to dismiss case as the defamer’s intent must be decided by a jury. Williams v. the Board of Regents of the University of Minnesota, et al. ; A08-0765 (Reported Decision) Minnesota Court of Appeals (03/31/09), 763 N.W.2d 646 (2009); Reversal of lower court’s decision to dismiss basketball coach Jimmy Williams’ claim against the University of Minnesota. Ericson, et al. v. Hallaway, et al. ; A07-1047, 2008 WL 3896872 (Minn. Ct. App. Unpublished) (08/26/08); Plaintiffs’ jury verdict for defamation remanded to trial court for new trial. Farmers Insurance Exchange v. Hallaway, Hawkins, Ericson, Singer and MYSA; 564 F.Supp.2d 1047 (D. Minn. 2008); Intentional acts exclusion does not negate coverage of acts if negligent defamation. Ericson, et al. v. Kathleen Halloway; A07-1047 (Unpublished Opinion), Minnesota Court of Appeals (08/06/08); Plaintiffs’ jury verdict for defamation remanded to trial court for new trial. Michael Wilson, et al. v. Robert Tuxen, et al. ; 2007AP1964 (Unpublished Opinion), Wisconsin Court of Appeals (05/20/08); Various claims involved with the purchase of cattle infected with Johne’s Disease. Catherine Sanford v. Duane F. Nelson, DPM, et al. ; A06-1135 (Unpublished Opinion), Minnesota Court of Appeals (08/14/07); Defense verdict in podiatric negligence case upheld. Marion C. Blakey, Administrator, FAA v. Larry M. Schlasinger; SE-17230 (Unpublished Opinion), National Transportation Safety Board (08/18/06); Reversal of administrative law judge’s decision; dismissal of all charges against pilot/client. Sharyl Uhde v. Brookwest Chiropractic Clinic, et al; A03-2009 (Unpublished Opinion), Minnesota Court of Appeals (07/13/04); Statute of limitations issue involving mental disability of patient who claimed chiropractic malpractice. Virginia R. Scally v. Norwest Mortgage, Inc., et al; C4-02-2181 (Unpublished Opinion), Minnesota Court of Appeals (09/02/03); Summary judgment reversed in bank fraud matter. Aon Risk Services, Inc. of Minnesota v. Hays Group, Inc.; C2-02-1661, Minnesota Court of Appeals (appeal dismissed by Court) (11/02); Jury verdict in favor of The Hays Group in tortious interference with contract claim. Aero Properties, LLC v. Discover Aviation Days, A to Z Party Rental, Inc., et al; C6-01-1765 (Unpublished Opinion), Minnesota Court of Appeals, 2002 WL 1544249 (07/16/02); Jury verdict upheld in claim involving property damage to aircraft caused by commercial tent. The Work Connection, Inc. v. Universal Forest Products, Inc.; C3-01-1643 (Unpublished Opinion), Minnesota Court of Appeals, 2002 WL 1275700 (06/11/02); Directed verdict motion in breach of contract case upheld. Arthur Redl v. Northwest Airlines, Inc.; 01-1313 (Unpublished Opinion), United States Court of Appeals, Eighth Circuit, 2001 WL 1335653 (8th Cir. Minn.) (10/19/01); Statute of limitations upheld under Warsaw Convention for international air traveler. United States of America v. The Washington Mint, LLC, Novus Marketing, Inc., et al; 9901768 (Unpublished Opinion), United States District Court for the District of Minnesota, 2000 WL 1640073 (D. Minn.) (09/05/01); Copyright claims involving the Sacagawea dollar. Okhwa Iverson, Trustee of the Heirs and Next-of-Kin of Timothy Robert Iverson v. Lynda Gayle Schmitt, Kenneth J. Schwartz, et al; C4-97-2312, (Unpublished Opinion), Minnesota Court of Appeals (07/14/98); Wrongful death, motor vehicle accident, product liability. Gordon G. Roufs v. Parker Hannifin, et al; CO-97-1478, (Unpublished Opinion), Minnesota Court of Appeals (07/14/98); Products liability – anhydrous ammonia accident, summary judgment. Vaughn v. Northwest Airlines, Inc.; 558 N.W.2d 736 (Minn. 1997); Statute of limitations issue applied to discrimination claim under Federal Air Carriers Access Act (ACAA). Richard Heller v. Northwest Aerospace Training Corporation; C9-96-917, (Unpublished Opinion), Minnesota Court of Appeals (11/26/96); Breach of contract, gender discrimination, defamation, emotional distress and tortious interference with contract. Leonard Howard v. Northwest Airlines, Inc.; DHR No. ER-19940598, (Unpublished Opinion) (0/05/96); Claimant alleged that he was wrongfully terminated from his employment as an equipment service employee (ESE) at Northwest Airlines because of his race. Rasheed Ibn Bilal, et al. v. Northwest Airlines, Inc., et al; 537 N.W.2d 614 (Minn. 1995); Alleged religious discrimination involving Northwest Airlines pass rider. Leading decision concerning religious free speech. Avemco v. Cebco; C1-93-2419, (Unpublished Opinion), Minnesota Court of Appeals (06/07/94); Crash of Cessna 421 in Colorado by an unlicensed pilot; Declaratory judgment action, summary judgment. Debra Jean Kinnear v. The Foot Clinic and Dr. Myron Kaminsky; C1-93-1867, (Unpublished Opinion), Minnesota Court of Appeals (03/14/94); Podiatric malpractice case involving Macbride bunionectomy; Directed verdict upheld by the Minnesota Court of Appeals. Nordale, Inc. v. Samsco, Inc.; 830 F.Supp. 1263 (Minn. 1993); Patent infringement and breach of contract. Gerald Brown v. Parker Hannifin; 919 F.2d 308 (5th Cir. 1990); Products liability – quick coupling accident involving high-pressure water. Paul Petty v. Dakota Barge Service; 730 F. Supp. 983 (1990); Alleged Jones Act claim when shoreside welder, working as deck hand, was injured on a towboat. Robert Perkins v. Parker Hannifin; 4-90-0175, Appellate Court of Illinois (09/28/90); Product liability – anhydrous ammonia accident. George and Jennifer Jenista, d/b/a Flightways, Inc. v. Burlington Northern Automotive; 388 N.W.2d 770 (Minn. App. 1986); Emotional distress, fear of flying, property damage and business loss involving engine loss and aircraft emergency landing. Gail L. Peppin v. Parker Hannifin; 372 N.W.2d 369 (Minn. App. 1985); Personal injury; Traumatic arm amputation by hydraulic press. Quill v. Trans World Airlines; 361 N.W.2d 438 (Minn. App. 1985); Sudden dive of Boeing 727 aircraft over Flint, Michigan. Leading decision concerning emotional distress claims. Kaiser v. Northern States Power; 353 N.W.2d 899 (Minn. 1984); Personal injury and property damage as a result of the separation of a dresser coupling which caused a large natural gas explosion at the Commodore Hotel in St. Paul, MN. Ronald and Emma Danielson v. Estate of Debra Hanford; 352 N.W.2d 758 (Minn. App. 1984); Personal injury and wrongful death automobile accident. Barbara Marsden v. Minneapolis Clinic and E. Philip Nuernberger; 329 N.W.2d 306 (1982) Personal injury claimed from sexual impropriety of therapist. Canadian Universal Ins. Co. v. Fire Watch, Inc.; 258 N.W.2d 570 (1977); Fire loss/declaratory action. Leading decision concerning changes in insurance coverage. Dotterwich v. Yamaha International Corporation and Yokahama Rubber Company; 416 F. Supp. 542 (1976); Personal injury resulting from a snowmobile track becoming disconnected and striking Plaintiff in the leg.